Husker fans have seen the last of running back Tre Bryant in 2017. Nebraska Coach Mike Riley announced Monday that the coaching staff has made the decision to seek a medical redshirt for the sophomore back who has not played since a week-two loss at Oregon while dealing with a knee injury. "Tre Bryant will have surgery [Tuesday]. We're just looking at many things with Tre," Riley said. "He has just been a warrior trying to get back. But as we look at it for his long-term future with us, the best thing for him is going to be to go ahead and get it done now. "I think that he would be a great applicant for getting this year back. It also gives him his best chance to be healthy for the next go around in the spring." If Bryant’s medical hardship waiver is granted it will allow him to maintain a year of eligibility, but it’s yet another injury this season that might force Husker fans to wonder “what if”? After citing a desire to have a go-to back emerge through most of fall camp – and claiming the race was even right up until the season opener – Riley and staff settled on Bryant in the featured role. The St. Louis native rushed 31 times for 192 yards (6.19 ypc) and a touchdown in Nebraska’s season-opening 43-36 win over Arkansas State. Bryant got off to a strong start the following week against the Ducks, rushing 20 times for 107 yards (5.35 ypc) and a touchdown before leaving the game following the first play of the fourth quarter. 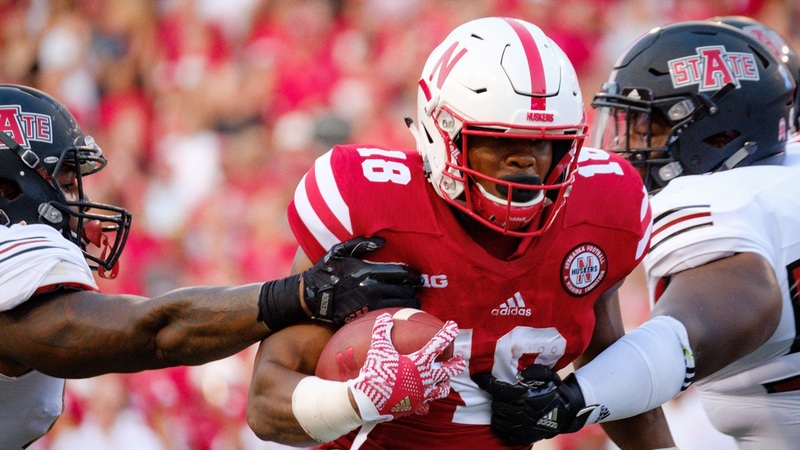 To that point, Bryant had taken 51 of Nebraska’s 53 running-back carries on the season. The Monday after the Oregon game, Riley said there was “no new injury” for Bryant. Rather the issue was an existing knee problem Nebraska has monitored since Bryant joined the program in 2016. "I can't get technical with you on that," Riley said Monday when asked about the injury, "because I would be misleading probably in some fashion. This is, as best I can say it, corrective [surgery] that gives him his best chance to get back and play again." Bryant suited up for practice on the Thursday prior to facing Ohio State, but wasn’t able to complete the practice. At that point Riley remained hopeful that Bryant may be able to return to face Purdue following the bye week. In Bryant’s absence, Devine Ozigbo has emerged as Nebraska’s leading rusher (351 yards), and topped 100 yards rushing in consecutive games against Rutgers, Illinois and Wisconsin. Wilbon, who missed the Wisconsin game, ranks third on the team with 254 yards rushing. Overall Nebraska ranks 10th in the Big Ten in rushing at 4.07 yards per carry.